This method requires the user to pro-actively add a tag to each email to be filed. The tag is writted to the ‘Tags’ file attribute. 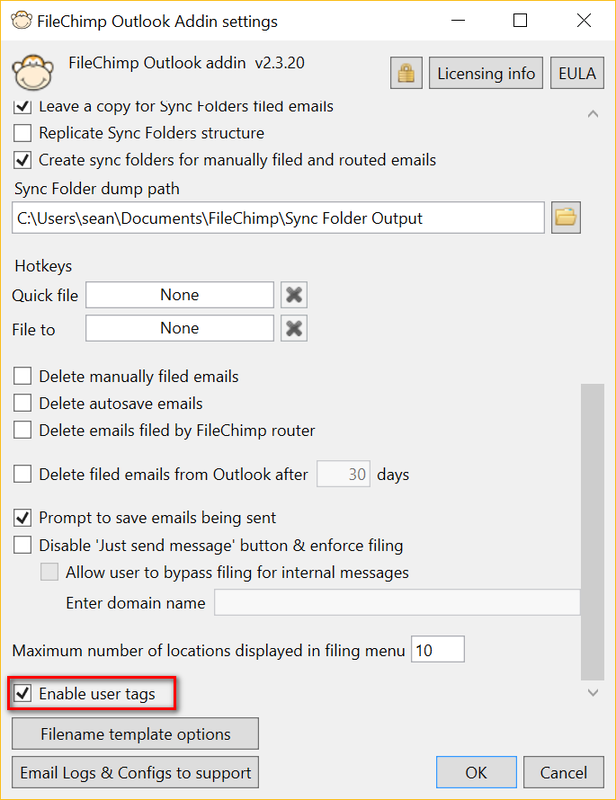 Enable tags in the FileChimp Outlook addin settings. Enable prompt to file emails in the FileChimp addin settings. Create a FileChimp profile (or multiple profiles). 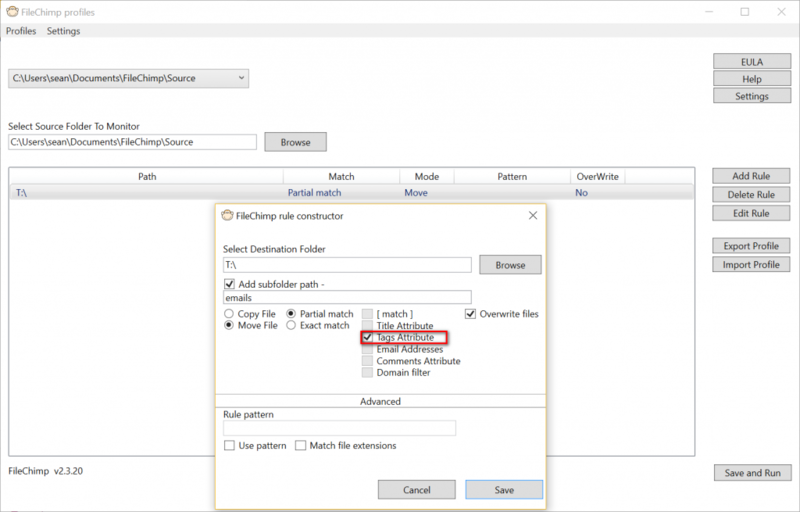 Consider if you want to copy or move the file from the source folder (typically move is best practise), and if you want the tag to be an exact match to the destination folder name or if the tag is only a partial match to the whole detaination folder name. Select Tags from the basic rules. Select save to save the rule. Select Save and Run to activate the rule.